Heeft u een vraag voor Madam Resort? Het aanbieden van kwaliteitsaccommodatie in restaurants, stranden district in Rayong is populair voor zowel zakelijke reizigers als toeristen. Slechts 4 km verwijderd van het stadscentrum, is dit een goede plek voor gasten om te genieten van de attracties en activiteiten in de stad. Dankzij de praktische locatie liggen alle belangrijke trekpleisters in de buurt van het hotel. 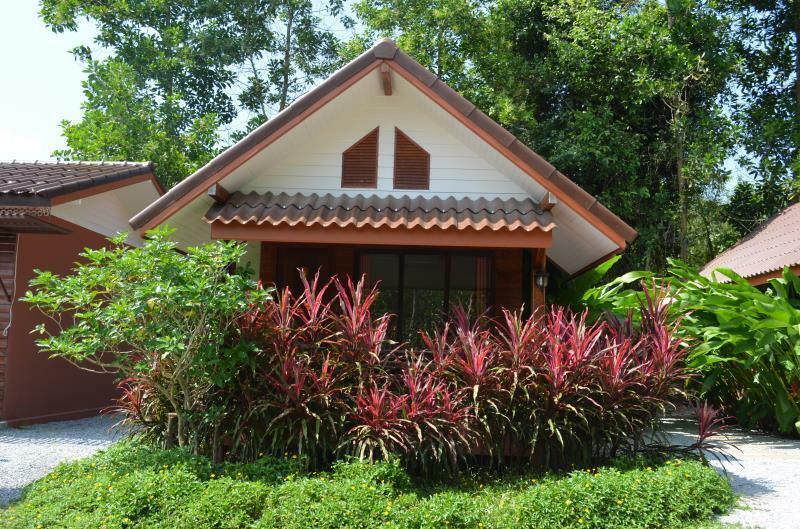 Profiteer van de ongeëvenaarde services en voorzieningen bij deze accommodatie in Rayong. De accommodatie heeft een uitgebreid aanbod aan services, inclusief gratis wi-fi in alle kamers, wi-fi in openbare ruimtes, parkeerplaats, familiekamer, conciërge. Gasten kunnen kiezen uit 10 kamers, welke stuk voor stuk plezierig en comfortabel zijn ingericht. De beschikbare recreatiemogelijkheden in de accommodatie zijn inclusief tuin. Met een ideale locatie en bijpassende voorzieningen, is Madam Resort voor veel gasten precies dát wat zij zoeken. Good for a stopover if you are driving. I chose this place after seeing a review of another nearby hotel that said the location was 25 km from where it was shown on Agoda. But this hotel was in the right place. It's a bit off the main road, but easy to find if you use GPS. The breakfast was disappointing - just processed meat and one egg. Sweet instant coffee only. Positives: nice environment, value, good air con in our room, quiet. Staff ok. Negatives, in our room the bathroom smelled of urinal cake used to deodorize, fridge cleanliness could be improved. Travelling with a friend to spend the weekend hiking around Khao Wong National Park. This place is ideally situated for a base to drive out from. Basic but for us everything we needed and with very friendly staff. My family stayed here because we had a running event in the area. As of location, there isn't much. However the resort was nice. It was set in a nice garden. The bungalows were clean and nice. Huge bathrooms. Came with a nice American breakfast. 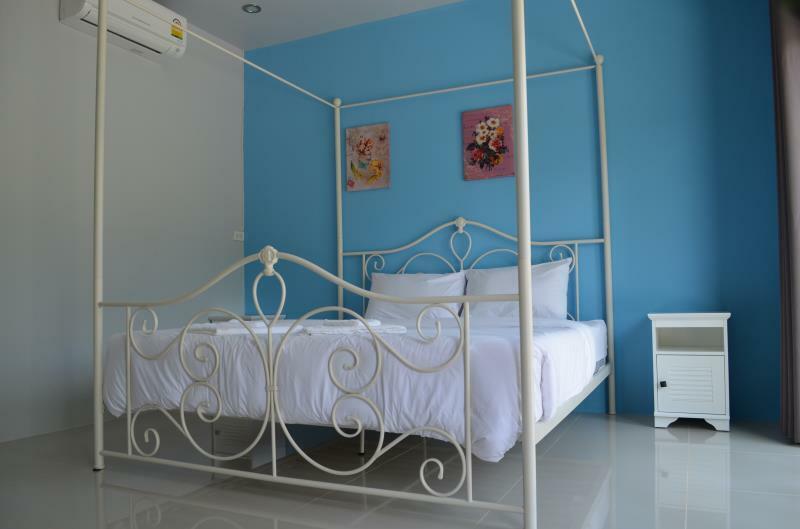 Madam Resort is a fantastic place to stay if you are heading from Trat to Bangkok.It is located 20 kms on Route 344 from the intersection of Sukhumvit Road(Klaeng) and route 344. The actual resort is about 1 km off the main road but once you arrive it is like a mini paradise. The quietness is broken only by the sound of birds and the many inviting places to walk or sit or explore are numerous. The rooms themselves have been decorated thoughtfully and include contemporary furnishings and custom made blockout curtains. 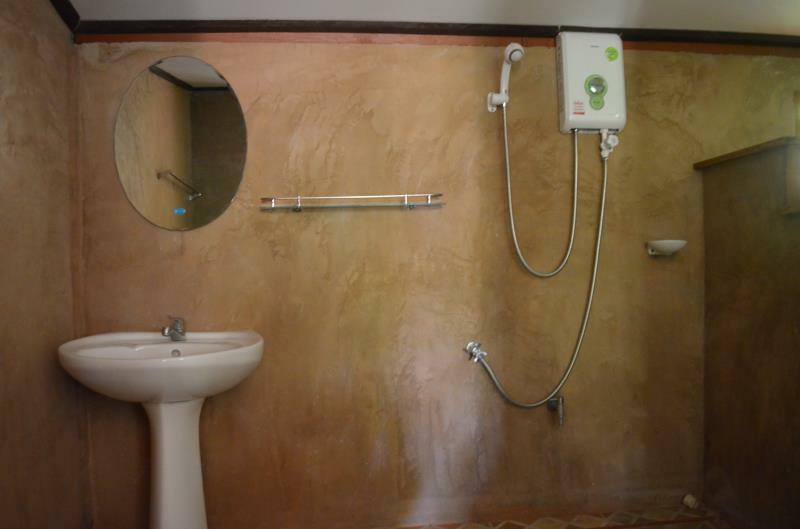 The fittings in the accomodations are unique and range from colourful tiles to hanging space for many pieces to comfortable sofa or chairs and table sets. 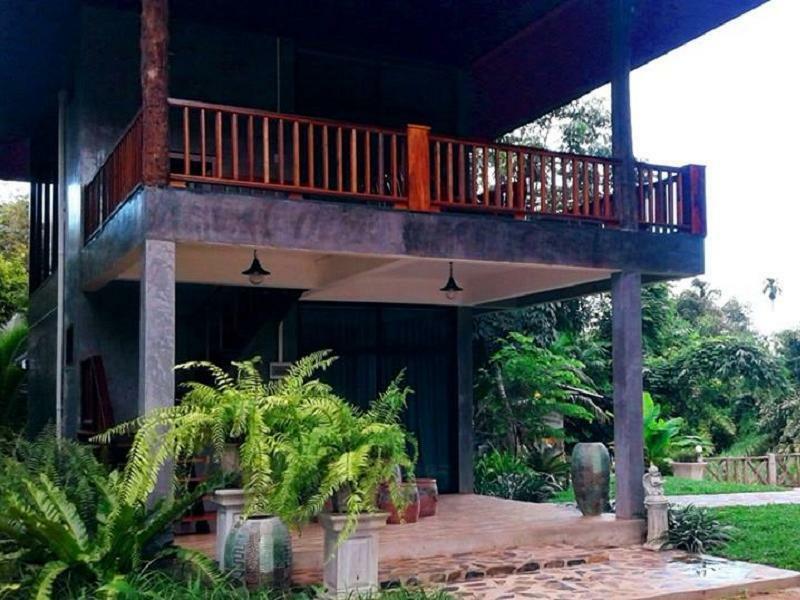 There are balcony's outside each unit or you can relax in one of 2 salas overlooking the lotus and fish filled pond.Or explore and taste the fruit from the trees or simply sit on the swings beside the pond and enjoy the view and tranquility. The breakfast was surprisingly substantial and the cutlery and crockery used shows that great thought has gone into the presentation of this meal. We will be using this resort again. Nice and clean room, many trees around resort. Lovely comfortable stay. Basic American breakfast but kept us waiting for awhile as they only have 2-3 staffs to provide food. 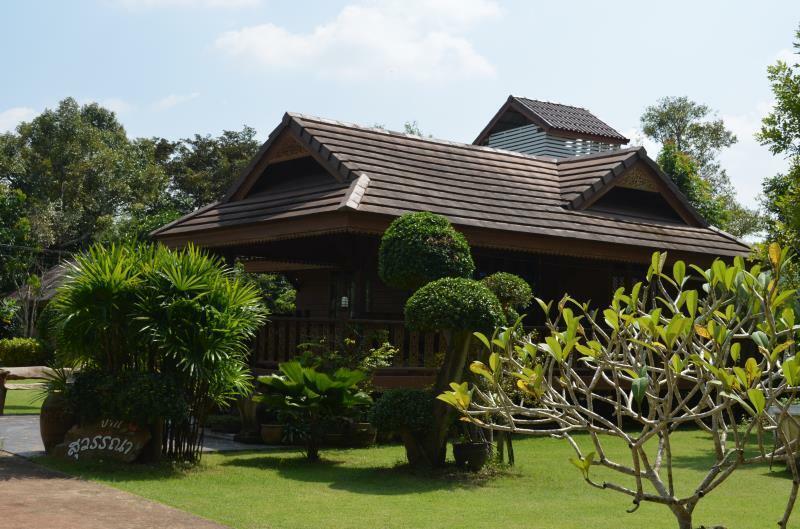 I would recommend this hotel to anyone looking for a relaxing weekend or drive stop over between Bangkok and Chanthaburi/Trat. 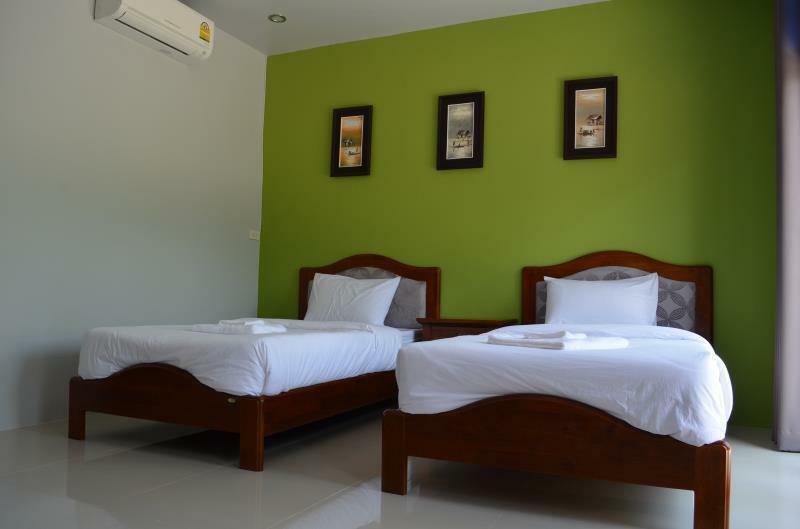 The atmosphere is very laid-back and the room facilities are very clean. The only thing I would have liked is to have the option of a Thai breakfast-we were only offered ABF during our stay which was a bit surprising. However, apart from that I enjoyed the stay and would come again. Really like the place. Quite and lovely hotel. Alles war gut. Man kann sogar Frühstück ändern und sagen was man mag. Zimmer sauber. Möbel Klasse. Anlage gut gepflegt. Und sehr ruhig. Man hört nur die Natur. Einziges was nicht gut ist, die letzte Straße. Die Anlage ist eine Obstplantage mit Resort. Wir hatten einen Bungalow. Etwas klein das Zimmer. Bad sehr groß. Das besondere und einzig artige. Die ganze Einrichtung ist teuere Qualität. Echtholz Möbel. Türen auch. Elektro gute Qualität. Ausser TV. Der ist nur 24 zoll und ohne usb.Selbst Dusche für Popo kein billig Artikel. Man kann hier sehr gut entspannen. Hat einen kleinen Teich mit zwei Schaukeln. Liegt etwa 30 km vom Nationalpark Chamao entfernt. Hat einen super Wasserfall. 200 baht Eintritt. Und etwa 19 km zum Orchard Park. Anlage war früher für Reiche und Königs Familie. Jedes der 105 Häuser hat einen Kamin. Nun erlebt es langsam ein Revival. Noch sind Schnäppchen möglich. Natur pur und Ruhe.